Lovely property with a great view. Amazing view, great location, everything you need! We loved staying here! The view was amazing, shops and restaurants at your door step. The agents were great, they even lent us a portable bed for our 2 year old. The apartment has everything you need in terms of space and a fully equipped kitchen, even a beach umbrella that we used everyday ??? Good view, accommodations sufficient, and has everything in a kitchen that you'll need to cook a meal. 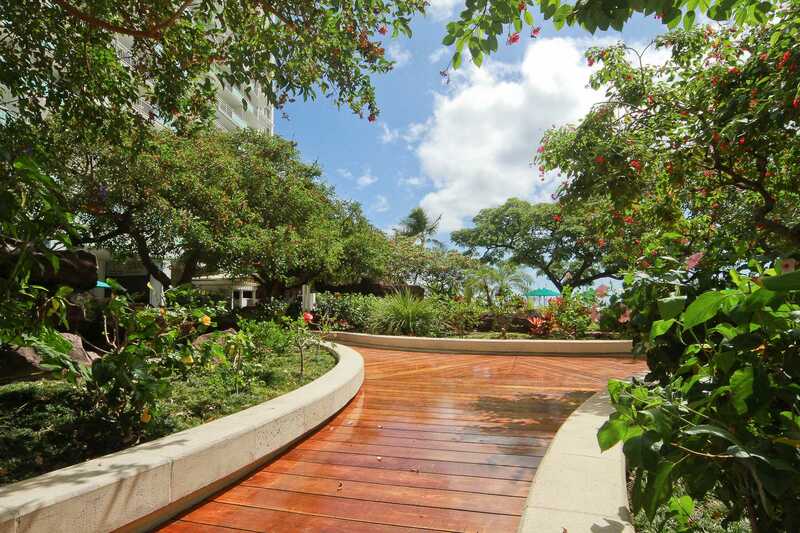 Convenient location: restaurants, bars, shopping mall, and beaches are walking distance. We stayed in #1118, beautiful balony with a perfect view of the ocean. Very easy key less entry, room was very clean and the bed was super comfy. They also had a fan in the room if needed. The pool was very clean and everyone was so friendly. We had several restaurants and shopping areas within walking distance. I highly suggest eating at the condo restaurant called "Cinnamons" the food was delicious!!!! 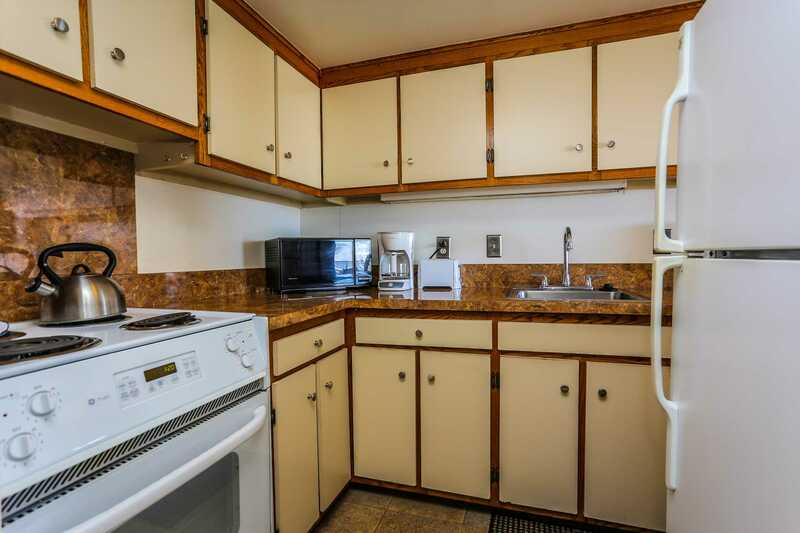 The condo kitchen has everything you need. Highly recommend the room we stayed in. Excellent set up!! Loved the key less entry and self check in. Nice clean apartment, great size for a holiday stay. Loved our stay in Honolulu - so close to Ala Moana and buses outside (Trolleys, public Buses, Shuttle bus to Waikele). Use of pools was excellent and views top notch. View is better than pictured. We drank coffee and ate light meals on the balcony every day. Bed was comfortable, location very good. Kitchen has cookware you need to prepare a meal. Grocery store called "Food Pantry" just 2 short blocks. Great condo with fantastic view. We were there from May 26th to June 4th and loved every minute of it. Condo had everything we needed and more. Couldn't have asked for better location. We stay at The Ilikai every time. 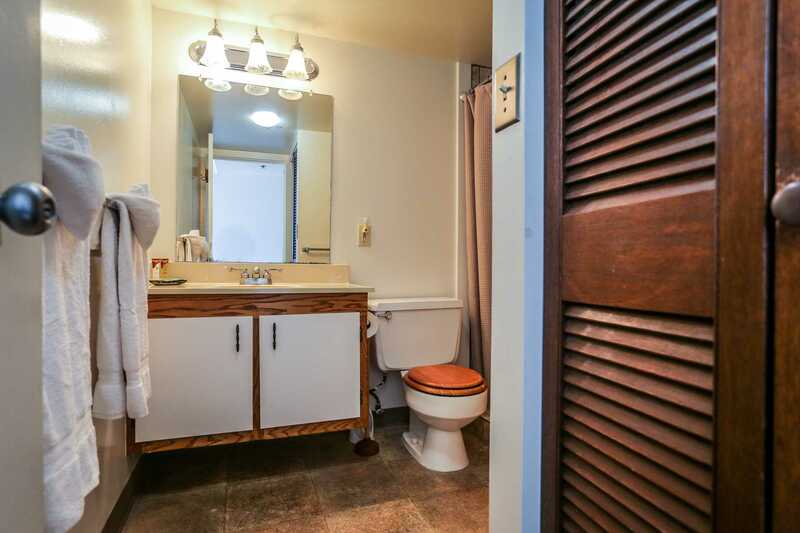 Only one thing to mention is the bathroom sink was so slow to drain. Minor detail. Great location for those who want to prioritise shopping! Only 10mins walk to Alomoana Shopping Centre. Quiet and nice view from the balcony. We didn't mind the walk to the centre of Waikiki strip, and it's also right on the bus route. eg One day we caught the bus 23 to Diamond Head. Iconic building with an interesting history! 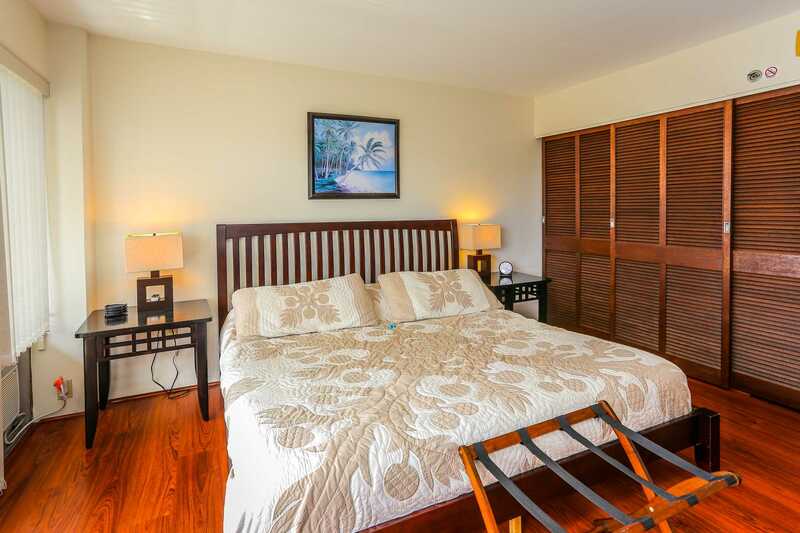 Hawaii Vacation Properties were very helpful and responsive. Loved the balcony size and view. 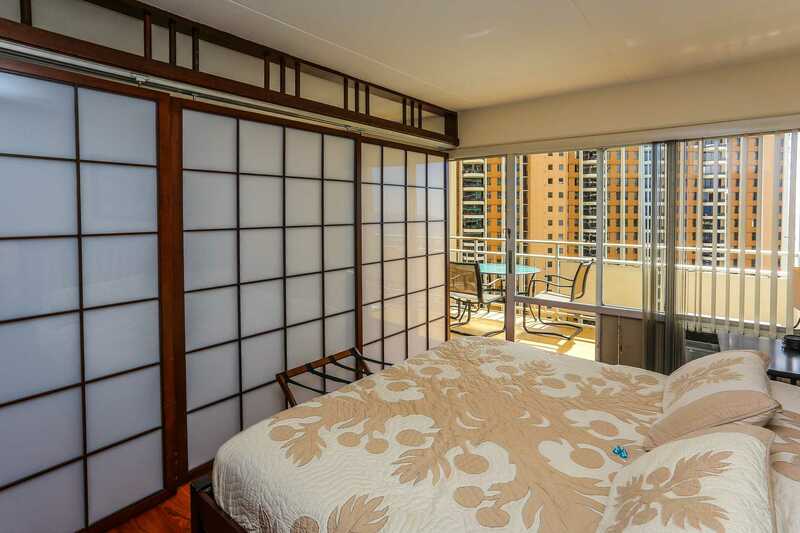 Slept with our balcony doors open every night and enjoyed the breeze of the Trade winds. Close to everything. Enjoyed our stay. The king size bed was comfy, the futon/couch was adequate for our teenage son. The only negative is that when we closed the shoji doors at night, the air conditioning was trapped in the bedroom, so it was hot & stuffy in the living room. Just a note, the shoji doors are a physical barrier but don't really muffle any sound at all. So there is no privacy in the bedroom. All in all though, it was a great place to stay. Positives: easy check in & check out; great location; unit is quiet; fantastic view. Negative: unit is in bad need of a major update including kitchen supplies, furnishings, decor, paint, etc. All of our condos have photos taken in the subject condo. We do offer many other condos with more recent updates. Of course the rates are higher for more updated condos. Great spot near Waikiki without being in top of it. The interior is older, but comfortable. Close to the beach and everything else. Everything went smoothly with check in and check out. Had everything we needed.Nice view. Comments said you could see the fireworks from the room which is not really accurate. You could see minimal parts behind the hilton hotel.We ended up running down to the main level to see the remainder when we realize we could not see them from the room. Great place right on the lagoon, fireworks last about 5 minutes on Friday night but you can only see about half of the display because he Rainbow Tower obstructs the view some. It was super cool to see the Luau on the Hilton garage from our balcony. The value of this place is hard to beat. 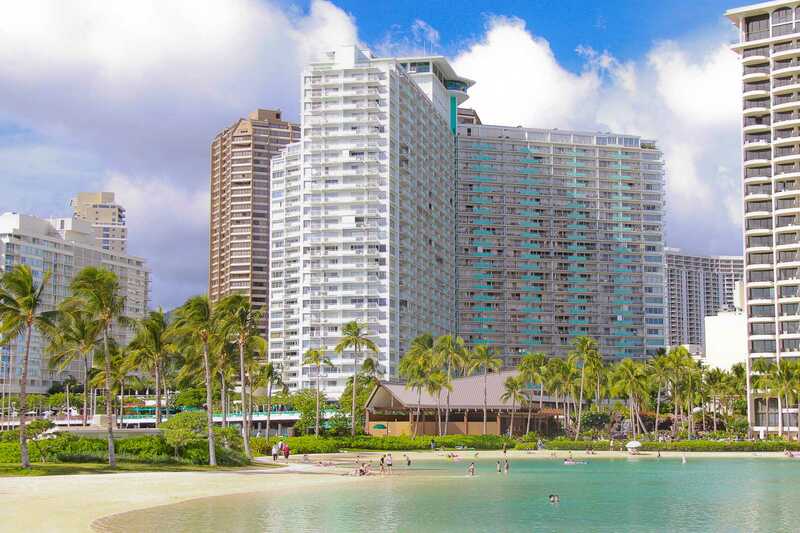 It is very close to the beach and right next to the Hilton Hawaiian Village. Everything is walking distance and some really good restaurants are very close by. Would stay again. Had a great stay at the Ilikai. Condo is pretty much like the photos show. Kitchen had everything we needed. Bed was comfortable and patio pretty big. Was really quiet considering it's in a busy area. We had our daughter and she slept with no issues. Pack and play was set up for us which was really appreciated as we arrived on a late flight. Thanks for that! One of the pools was closed which meant the small pool was only available. Nothing major as we had the baby and she can't go too deep anyway. There was no light on the patio. This is something I'd recommend the owner address. Apart from that everything was great. Amazing views! Room was almost perfect...had great view and was in great location. Needed some attention given to kitchen drawers and light switch that was missing wall screws...other than that, perfect! Aloha, Thanks for the feed back. Owner has authorized new kitchen drawers. 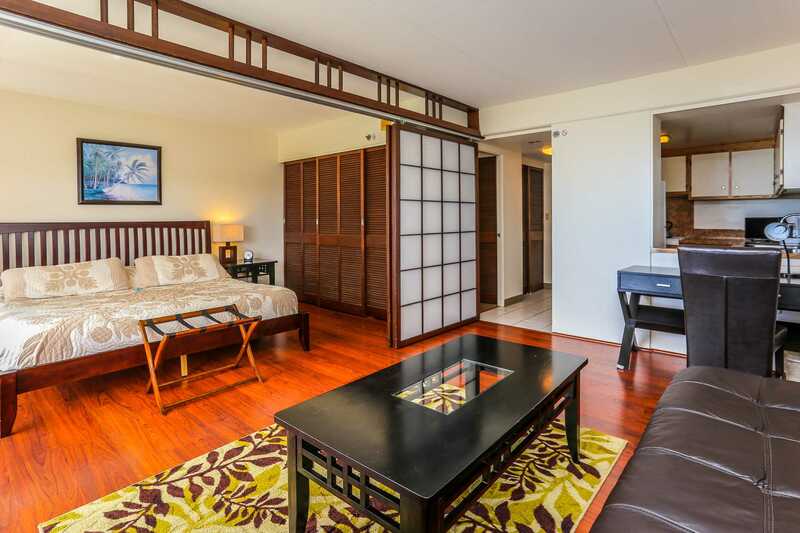 Nice place - about a 15 min walk to the main strip and a 5 min walk to Ala Moana. 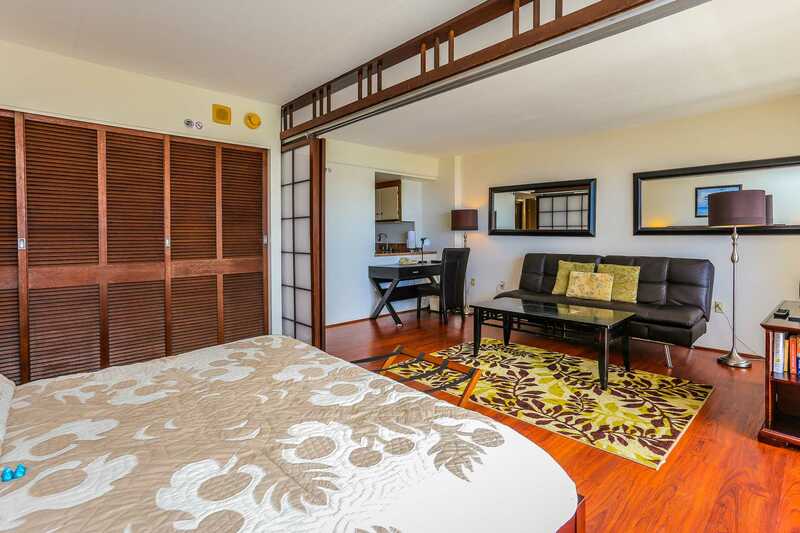 Great value over hotel rooms in Waikiki at less than half the price per night.Unit presented just as in the pictures. Very clean and well stocked with quality towels and sheets. King bed and the couch-sleeper were both comfortable.Excellent view of the lagoon, marina, ocean and Hilton Hawaiian Village luau and property. Even got to watch them filming an episode of Hawaii Five-O right outside the building.Definitely recommend and will return if in Waikiki again. We stayed for 11 nights in July and loved it there. The view was amazing and the unit had everything we needed. The only hiccup I found was we could not have airconditioning on at night as airconditioning unit is beside bed and it would blow directly on us, we were quite happy to leave lanaii doors open to let cool air in from outside. This will not deter me from returning to the same unit and have booked to do so towards the end of the year. Loved it!!! Very happy with stay! s well as the condo. It had everything we needed, right down to great beach chairs. I miss the beautiful view already (#1118) and sitting out on the large lanai every day. Full kitchen, great wifi, long distance back to Canada, it was perfect. We loved the keyless entry. Close to Waikkii, shops, restaurants. Loved the history of the hotel, felt very retro.Kat from Hawaiian Vacations was understanding, patient, and very helpful. Would come here again. Book here, you wont be disappointed. The apartment was as expected, very good value for money plus no resort fees. The location was ideal, only a short stroll down to the main strip and in the other direction the main shopping mall. The communication from the host was excellent. Would highly recommend. Plus on those hot days, the blender worked a treat for the margarita's out of the balcony. This was the first time we were in Hawaii. I loved the condo we were in, it was very clean and the bed was comfortable. Our view of the lagoon and ocean was superior in every way. We would sit out on the balcony, relax and eat our breakfast and lunch. Watching the surfers from the time they arrived at 6:00 a.m. every morning was an extra bonus we enjoyed daily. I found the eating places at the condo to be very reasonable and enjoyed the proximity of the other restaurants and shops nearby. The people were so friendly, especially the lady who looked after the pool who was so accommodating. 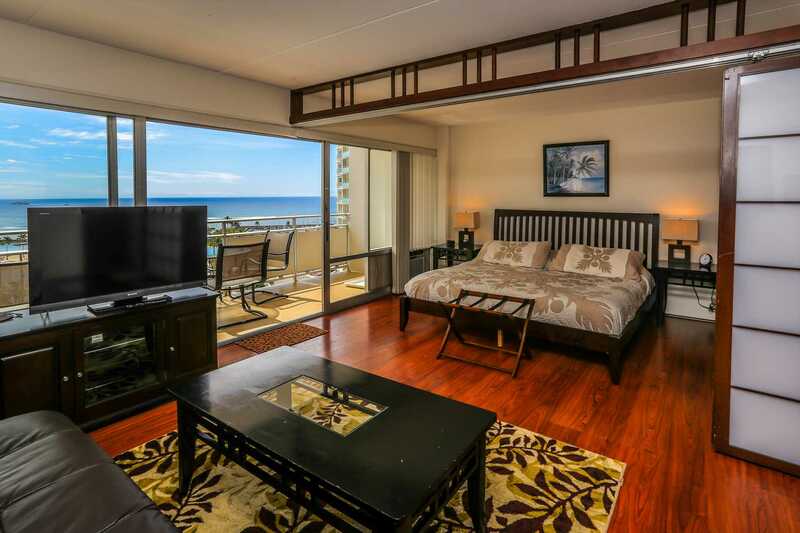 In all, we would certainly book the same condo if we decide to travel to Hawaii again. 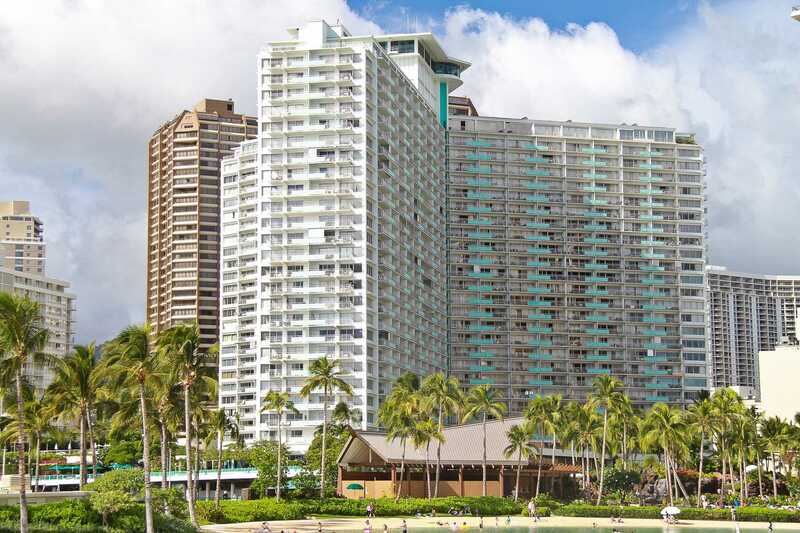 Great location, very easy access to Waikiki beach. Very clean apt and well organized and outfitted. Would absolutely stay here again. Nice breakfast restaurant downstairs. Good view, comfortable bed. Wonderful ocean and lagoon views. Watched luau at the Hilton rooftop almost every night from our lanai. Plenty of cooking dishes and utensils. Loved the big closet for clothes. We stayed a month for our 50th anniversary and enjoyed the closeness to grocery stores, shopping, pizza, fireworks on the beach Fri. nights plus other nights. We stayed here for a week in Waikiki. Great Condo, great views, Fireworks on Friday at the Hilton from the balcony (lanai) was fantastic. Adequate toiletries, utensils etc. Beach cooler bag and chairs along with beach towels was a good idea. Only slight negative was a noisy air conditioner. When being replaced, a split system would be more appropriate. Good condo overall, would stay here again. And again, the view over the lagoon was fantastic. Great place overall!! Everything as advertised. 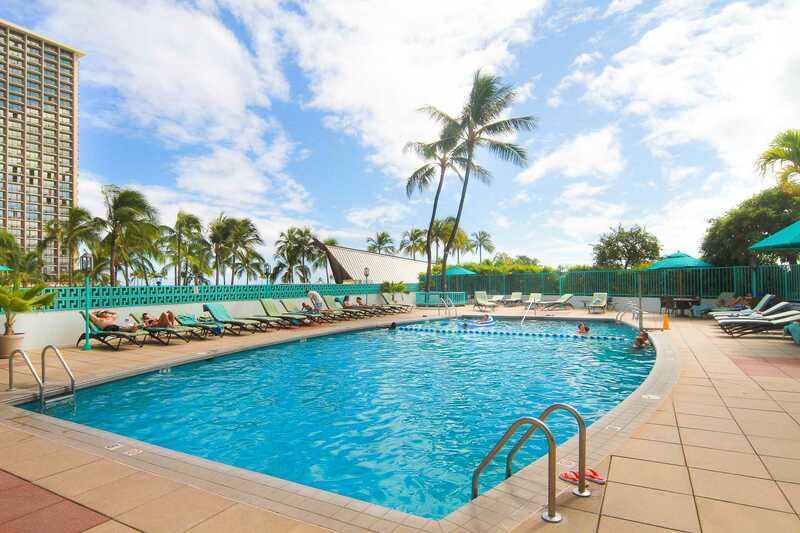 I enjoy staying at the Ilikai Hotel when I come to Wakiki. I have stayed on both sides of the building and they are both great with unbelievable views. I stayed at 1118 this time and everything was perfect. I enjoyed watching the surfers and also enjoying my coffee in the morning on the lanai. Everything was in working order and well supplied for me. I will be back again. Kat in the office is so awesome to work with!! Mahalo!! HI, the apartment was very very comfortable and the terrace view simply fantastic ! Thanks for this opportunity to stay in your flat because we enjoyed very much the time spent in Honolulu. We hope to return in Hawaii and for sure we will ask you to stay with you again. Thanks a lot Sabrina(sorry for my English not so good). Excellent condo. Everything we needed was provided just as was told in the reviews. It is an excellent location. Stayed their 8nights and enjoyed every one of them. We could see the fireworks from the balcony. Had to go to the end to see them. We could also see the luau at the Hilton from our balcony. Easy walking to restaurants and shopping. Had pick up from our hotel for most of our tours. I would definitely stay here again. 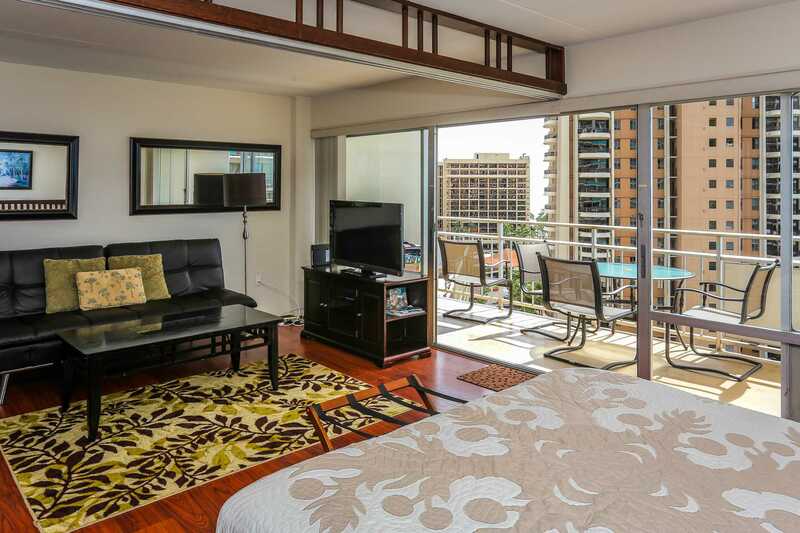 The Ilikai is a nice building in a great location close to the beach and shopping. 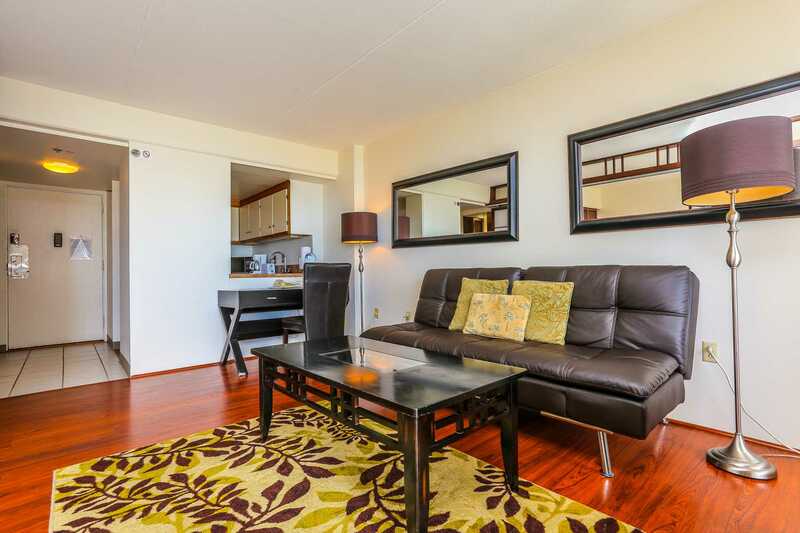 The condo 1118 is well laid out and spacious. The lanai for good viewing the ocean and enjoying a nice meal. I would recommend this condo for anyone looking for a comfortable space at a reasonable price. Very nice stay.... Very nice stay...So nice, I say it twice. User friendly keypad for in and out access. No surprises, what I saw, was what I got. Clean, comfortable, and well represented online. I would, and will highly recommend this rental. This is how it's done right! Title: fanatic choice of the room 1118! It was our first time to rent the condominium.We stayed 11 days. I was little worry about setting and how works to stay etc. King bed was very comfortable, coffee maker was working perfectly and blender was useful! I enjoyed a cup of coffee at lanai every morning! 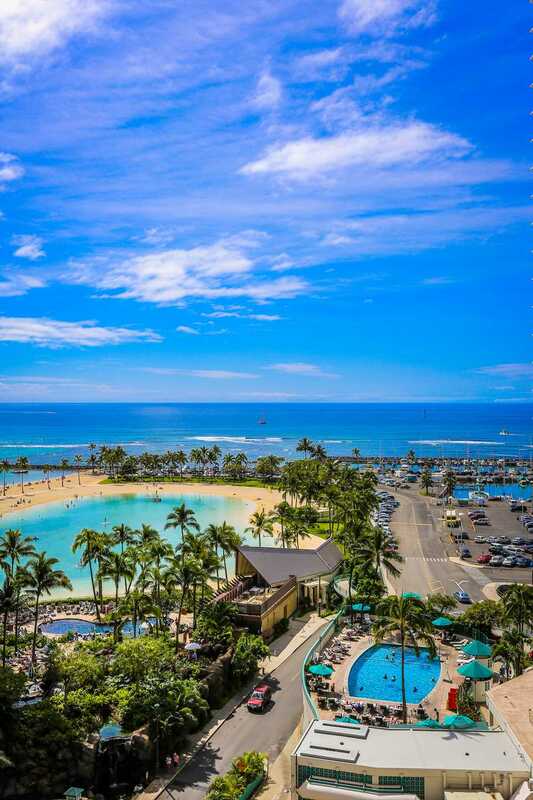 Hilton lagoon and Waikiki beach was excellent view. We ate most of the meal at lanai since they didn't have any kitchen table and chairs. I am planning to visit there off season again. Please let other visitor to know that if Red Lobster parking is full, please talk to them. They will accommodate the space for you. I had to park at the Hotel one day $28/day because across parking lot shows full sign. It was great experience and will visit there again. Thank you and we had a great time! 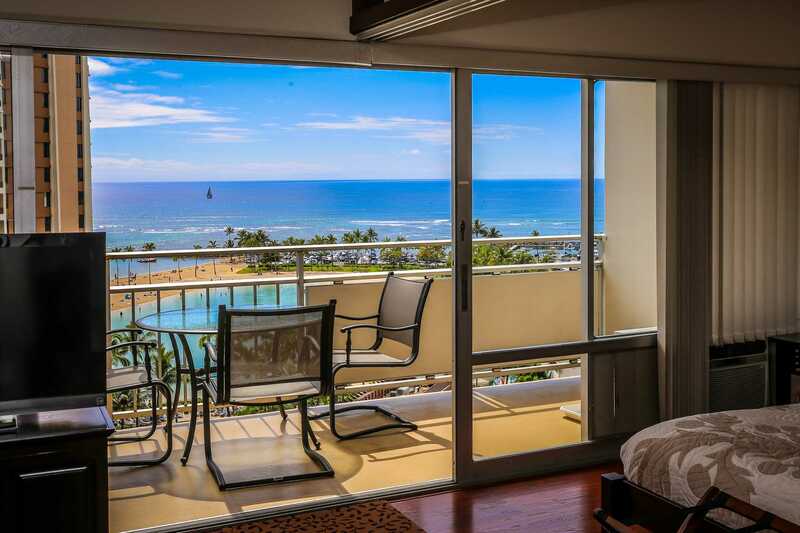 We spent the month of July at # 1118 at the Ilikai and we were extremely happy with our choice . 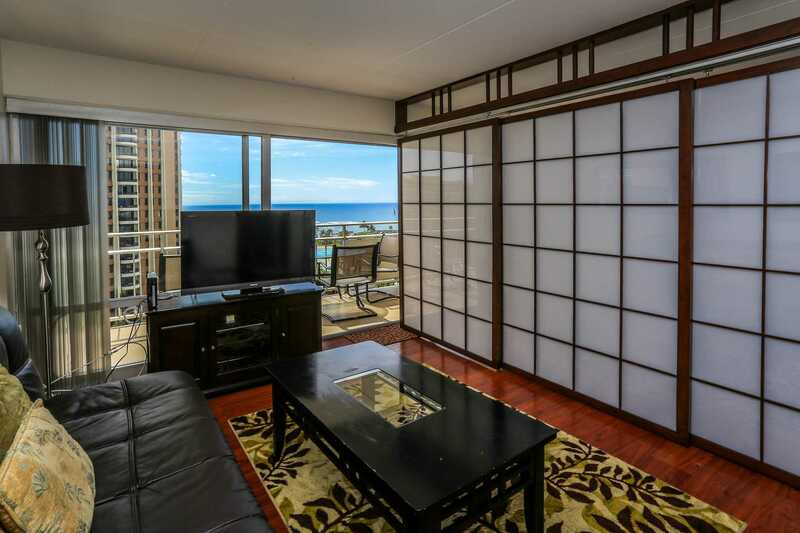 The location was excellent, nice big lanai with a great view. It faces straight toward the ocean, you can see the Hilton Lagoon and the Friday night fireworks, and you can see the Hilton Luau show too! The king bed was comfortable. There was a bit of a heat wave this past July, but the a/c unit worked like a champ, we were thankful we had it. 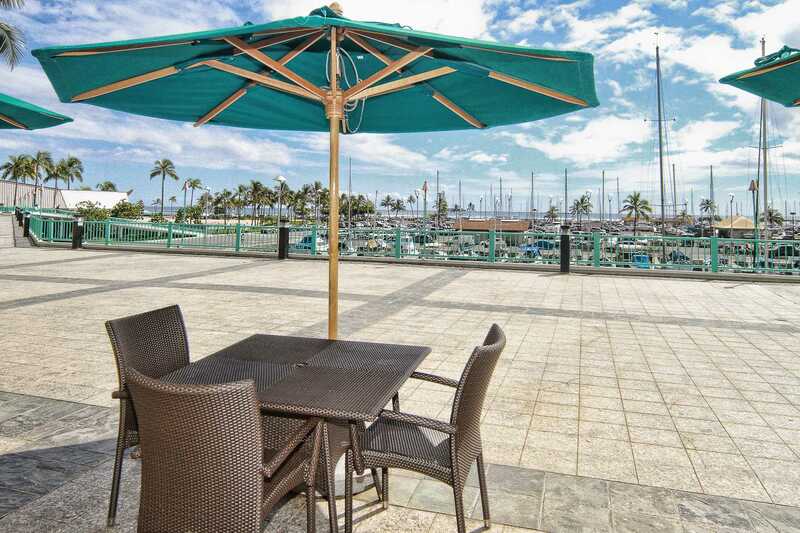 I was concerned about parking because the Ilikai charges a lot, I think $28 a day, and we were there for a month, that would run up a huge bill, but I made a deal with the Ilikai Marina parking garage which is half a block away for $200 for the whole month! Another nice touch was the keyless entry, it's really nice to not have to worry about your keys on vacation. we miss it already and we can't wait to go back! Great views and quiet apt. Kitchen a little pokey and furnishings look a little tired but overall, our stay was fine. The apt was clean and spacious. Only thing that we needed, was a clothes airer. We don't like to use a dryer at all, so after washing clothes, would have been great to utilise that warm air but nowhere to really hang anything wet. That was our only real complaint, otherwise a good stay. This room is fab, the views are amazing you can see the sea and the hilton lagoon. It looks unbelievable as you stand on the lanai and look out. The room is spacious really nicely decorated, big bed, big telly, beach bag, towels, cooler bag, kitchen for cooking, Kat was quick to reply at all times and the keyless checkin was seamless. Had no problems whatsoever and would recommend to anyone. We enjoyed this condo a great deal. 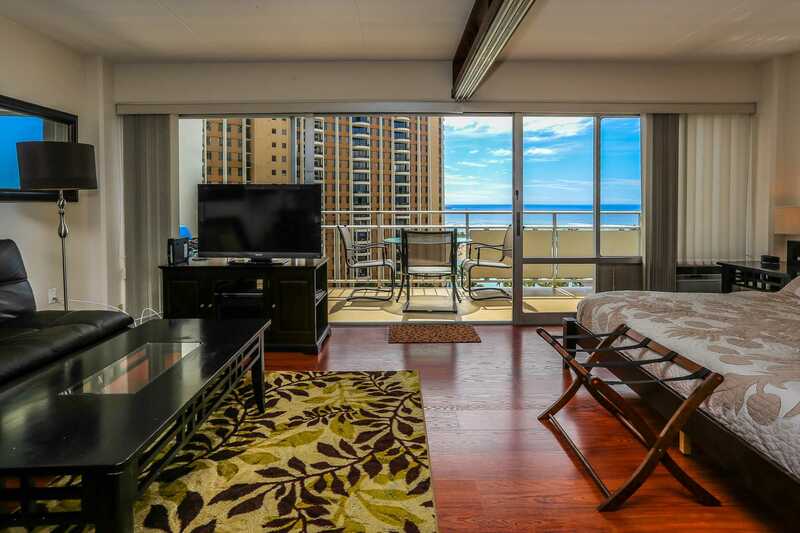 The unit is contemporary in all aspects and offers a great view of Duke's pool and the ocean. Everything in the condo worked as described and the necessary appliances, dishes, glassware and cooking utensils were in great shape. We would rent this unit again without hesitation. Stayed for 5 nights mid October 2014. It was my first trip to Hawaii. The room was fantastic. It was very clean, decorated nicely and had everything we needed. 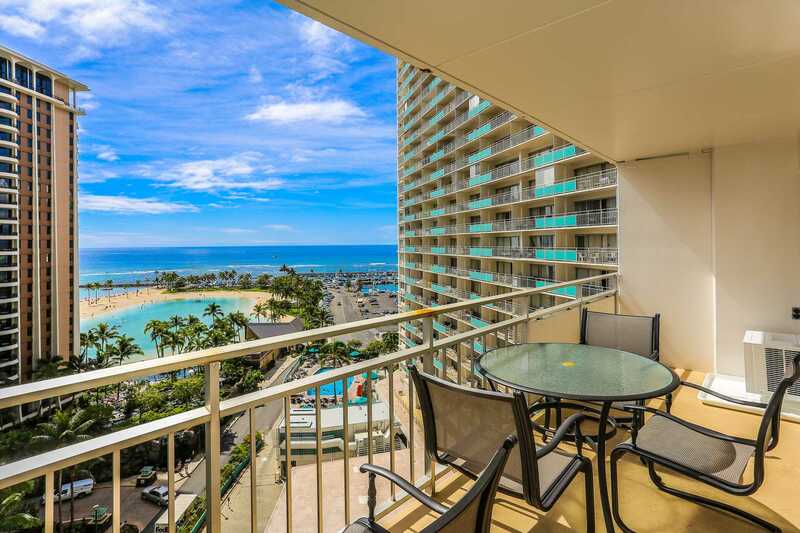 It had a great view of the lagoon and Waikiki Beach, plus we could easily see the fireworks on Friday night at the Hilton Hawaiian Village property next door. It's also very close to tons of shopping and restaurants. It was the perfect stay! I'm already planning my next trip to Hawaii and hope to stay at this exact same location! 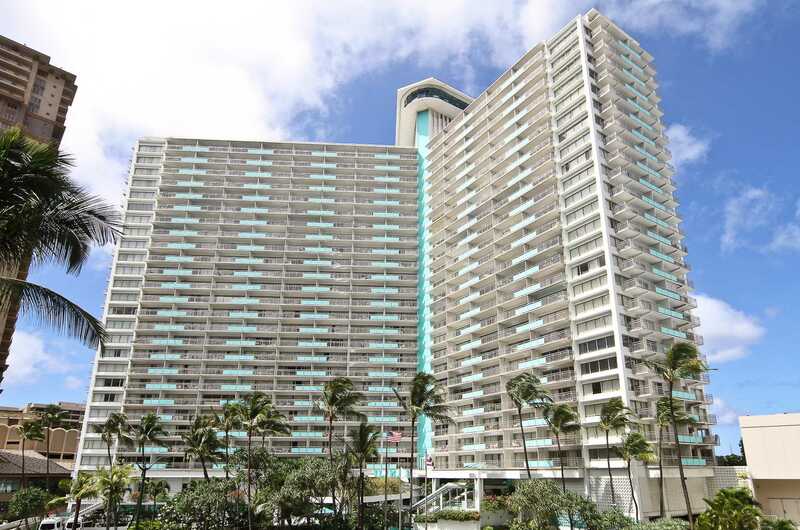 We loved staying in unit 1118, close to everything anyone would need to enjoy a great visit to Hawaii. Short walk to all activities plus all tours we took picked us up right in front of Condo building. Enjoyed the beach, pool, and all services located in the building. Great unit. Great view! Clean apartment. Only thing we didn't like is there was no access to the gym. 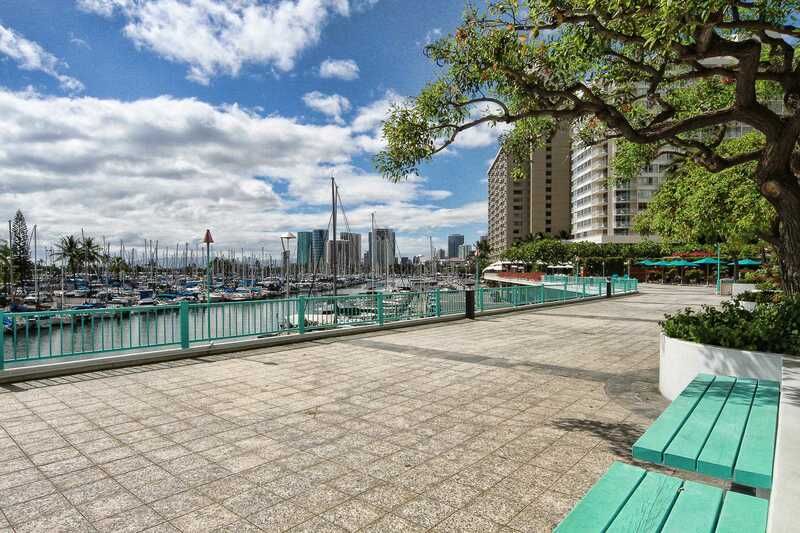 Response: We are glad you enjoyed the Lagoon Views from #1118. As previously stated on the directions, the Hotel gym is for Hotel guests only but we are happy to recommend some Gyms in the area. YMCA is a short walk from the Ilikai. Mahalo for your feedback! everything a family of four (inclusive of two young children) needed to have a comfortable stress free stay. Plenty of restaurants and convenient stores within walking distance of condo and some in the building itself. The kitchen was well equipped and the local supermarket (Foodland) just a 5 minute taxi drive to Ala Moana Mall. Perfect location and would highly recommend!!! Great to be this unit. Clean and cozy! 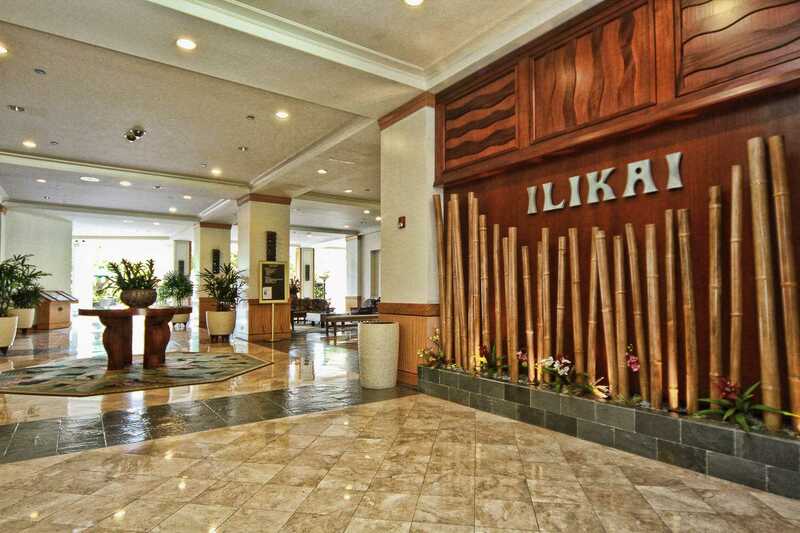 We stayed at Ilikai 1118 for 2 weeks and it was perfect for the longer stay. 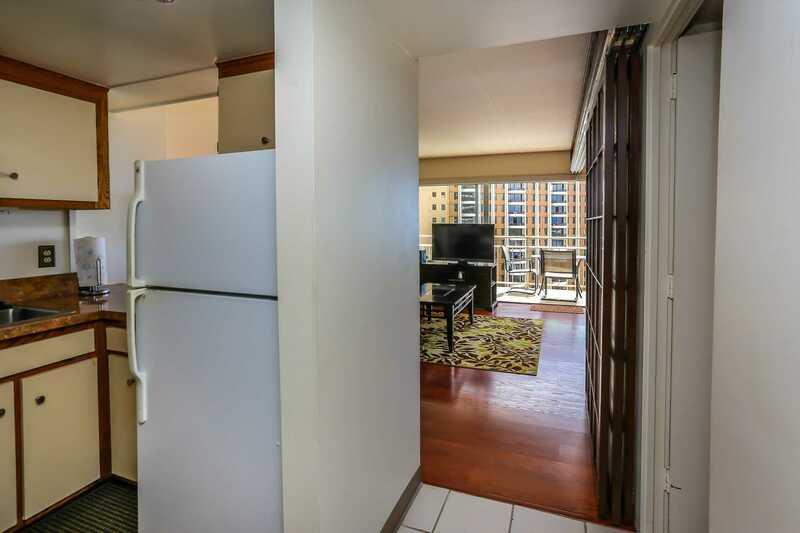 The condo itself was large enough for 2 people and it was nice having a kitchen and full size fridge so we could eat breakfast at home and keep the beers icy cold for sun downers. 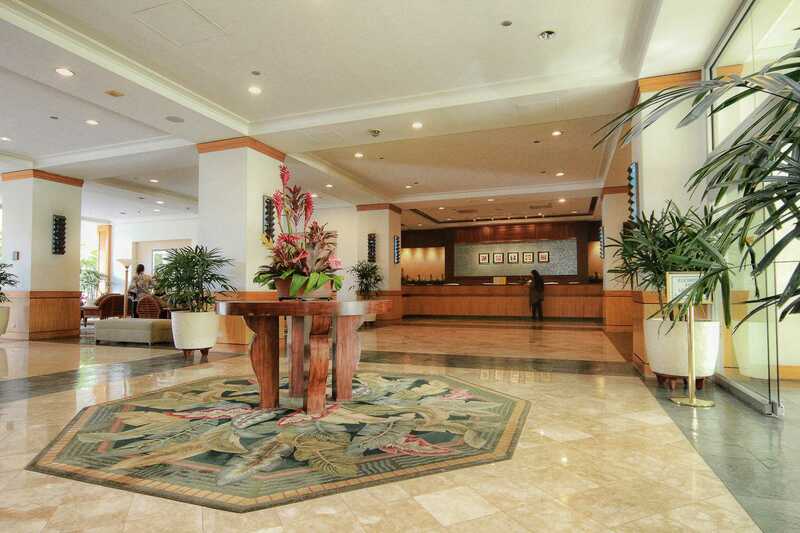 The location is handy to Ala Moana mall, restaurants and amenities. 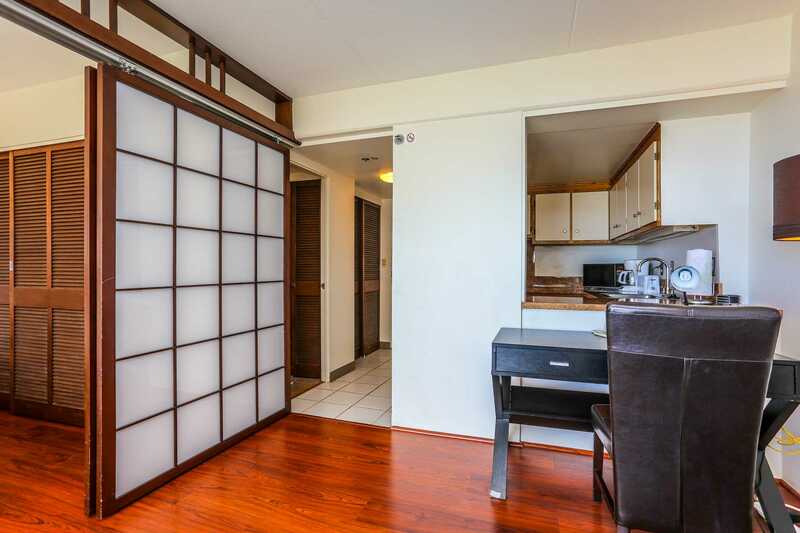 It's a 15 minute walk along the beach to the main Waikiki strip of restaurants and shops which is good as it seemed less frantic and an ideal place to relax. 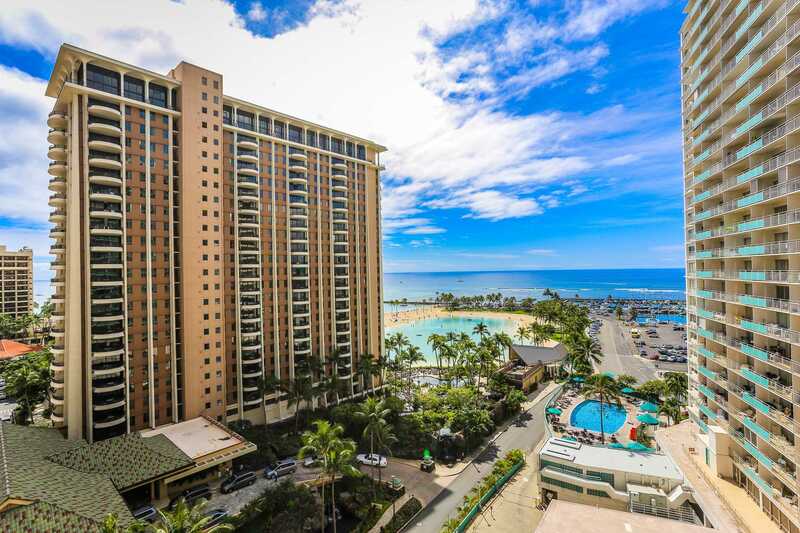 Ilikai Suites has a decent bar, pool and cafe but is also situated next to the Hilton Waikiki Hawaiian Village so you've got many restaurants, bars and shops next door and benefit from the fireworks displays and safe Dukes Lagoon. Overall it's a nice condo for the money and location suited our needs. 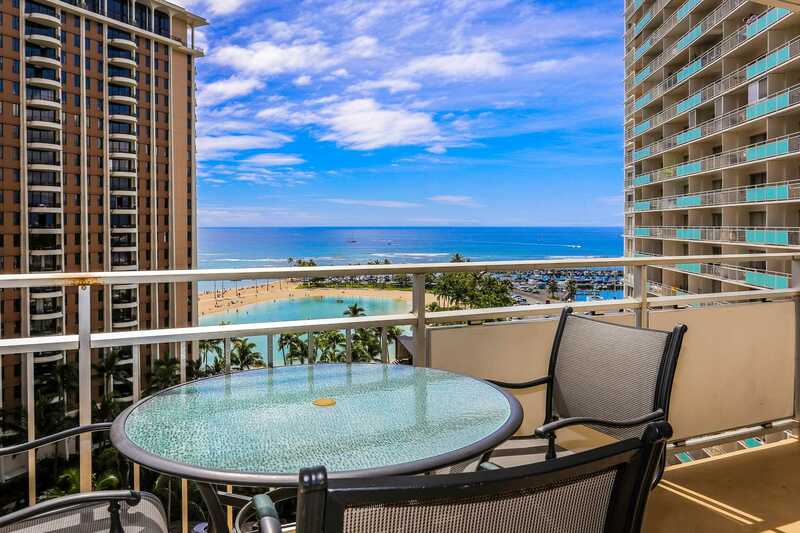 Just perfect location for a stay in Honolulu. I lived on Oahu 30 years ago, going back for a vacation was highly exciting! 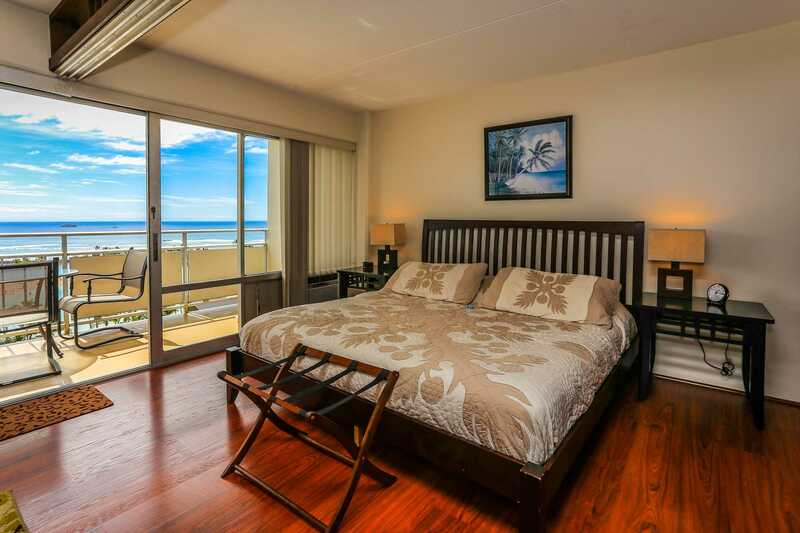 The unit was everything stated-clean, beach access, Island access, shopping access...etc. I will not hesitate to book Ilikai Suites again! Unit was very tidy and well maintained. My wife and 17 month old child stayed in the unit in early May for two weeks. This was our third visit to Hawaii and best accomodation and location so far. The accomodation was true to the photos. The view from the lanai was great as was the fireworks each Friday night. Keyless entry was very convienient. 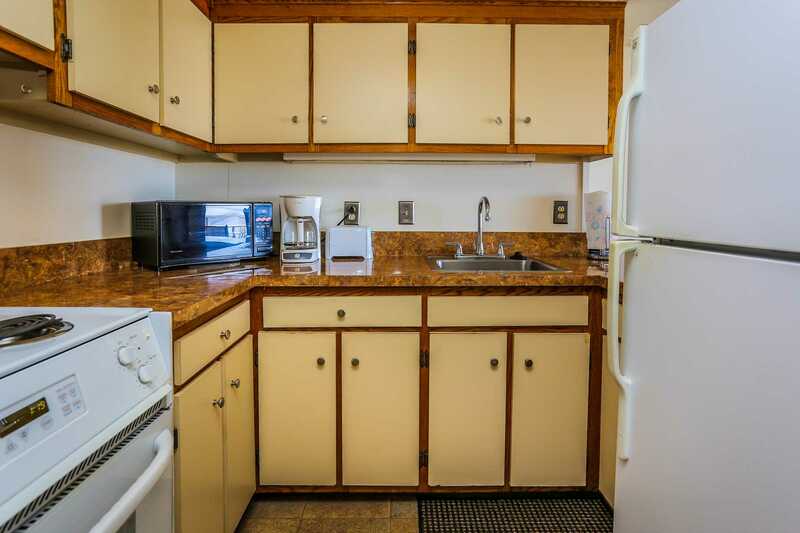 Kitchen was fully equipped with all appliances and great for preparing breakfast lunch and dinner if required. Bed was comfortable. Sliding doors to the bedroom were great for when the baby went to sleep. Still plenty of room when the sliding doors were closed. Very quiet in the unit. Beach was a short walk and pool was good also. Short walk to Ala Moana mall and Walmart for groceries. Bus stop right at the front was cheap and convienent to use. The only small issues were that the airconditioner was a little loud at night and the overflow tray for the airconditioner on the deck filled up quickly and needed to be emptied. Blinds could do with updating but worked fine. Overall fantastic condo and would recommend and stay again next time we visit. My husband, 5 year old son and I stayed in this unit for a week in late March. The condo was true to the photo--clean and well maintained. The sliding doors were great for separating the living room from the bedroom when our son fell asleep on the fold out couch. We appreciated the large lanai with a fantastic view of the ocean, pool and lagoon, and ate our breakfast there(prepared in the kitchen) almost every morning. There were three beach towels and beach chairs, two umbrellas and a boogie board available too, which was a hit with our son and nice for our beach visits. 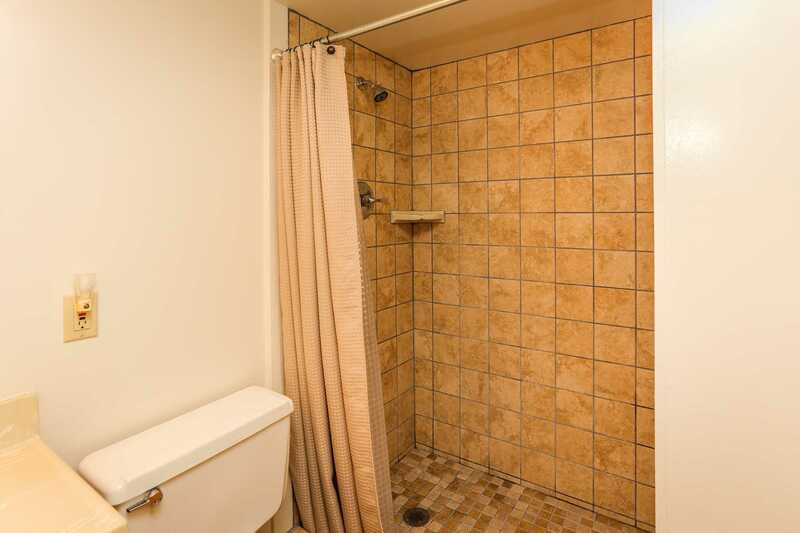 Bathroom was nice with newish large tiled shower, although a couple more rolls of toilet paper would have been nice. Kitchen was well stocked but a few basic spices (salt, pepper, garlic powder, etc) would have been great for preparing something other than cereal or sandwiches. Unit was totally quiet--never heard anyone within the building the whole time. We used the concierge services as well in the lobby and they were totally helpful. Could walk to ABC Store, shops at Ala Moana, the bus was right in front and the beach was just over the walkway. The pool was nice too. 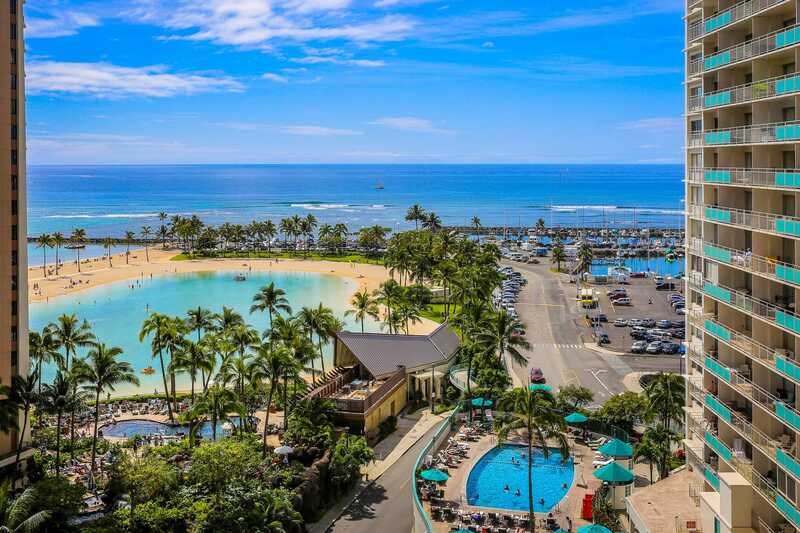 Overall I would highly recommend the Ilikai and Hawaiian Vacation Properties!